I had one more day to show off the state of Oregon to my brother Jake, so we headed to the Columbia River Gorge. The first stop on our scenic drive took us to the top of Larch Mountain. We waltzed up the short trail from the upper lot to gawk at the volcanoes that were poking out of the clouds. Among those I could recognize were Mt. Adams and Mt. Hood. We continued driving down the scenic highway, taking our time to enjoy the scenery as well as avoid the road cyclists. Next stop, Wahkeena Falls. A 0.2 mile trail led to a pretty stone bridge at the base of the falls. We took turns taking goofy photos with the falls and then moved on. 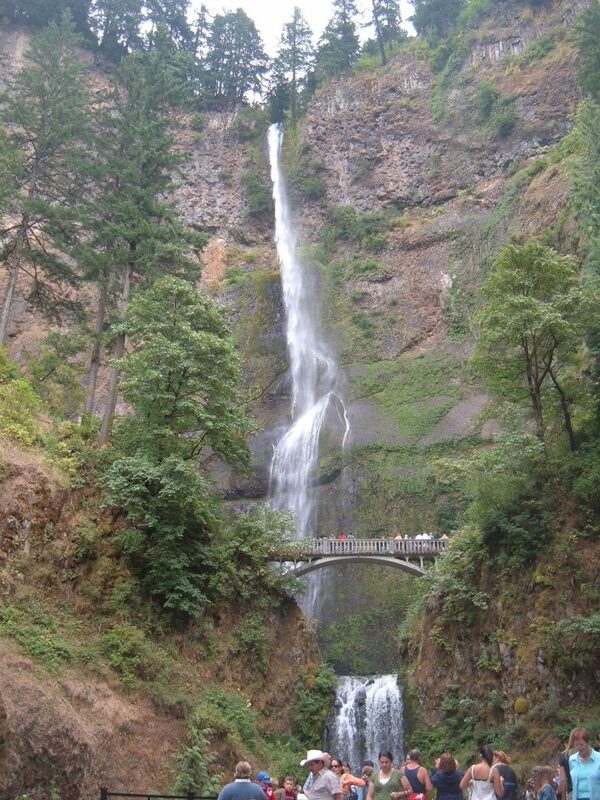 A 0.8 mile trail led to the zoo, I mean Multnomah Falls. 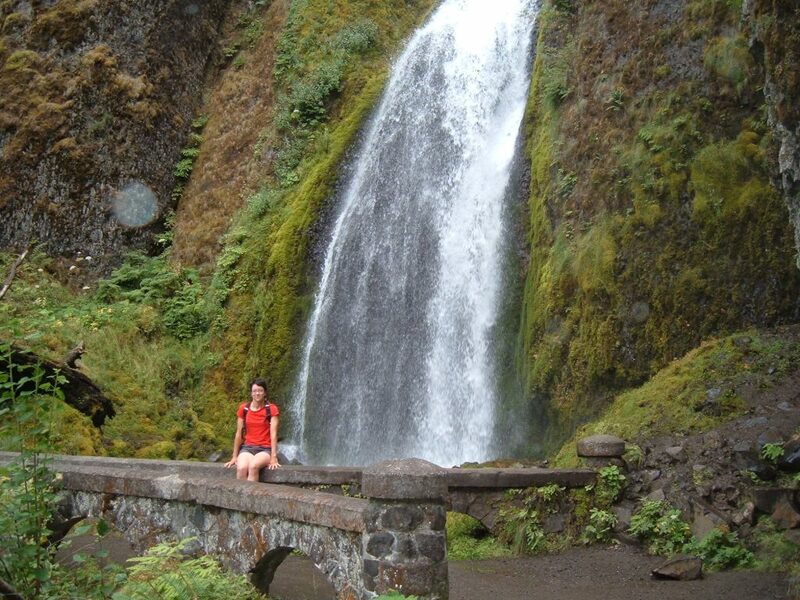 The tallest waterfall in Oregon, conveniently located just a few miles outside of Portland, draws a large number of visitors each year. A good percentage of that are flip-floppers, meaning they literally just get out of their car, take a picture at the falls, buy a hotdog and leave. I quite enjoyed our little walk to the falls and although we didn’t have time for a longer hike, at least we put some effort into getting there. Honestly I’d rather look at a trickle of a waterfall with no one else around than look at an impressively large one that’s overrun with humans. Regardless, I had an awesome trip with my brother and hope that this will be a regular tradition. 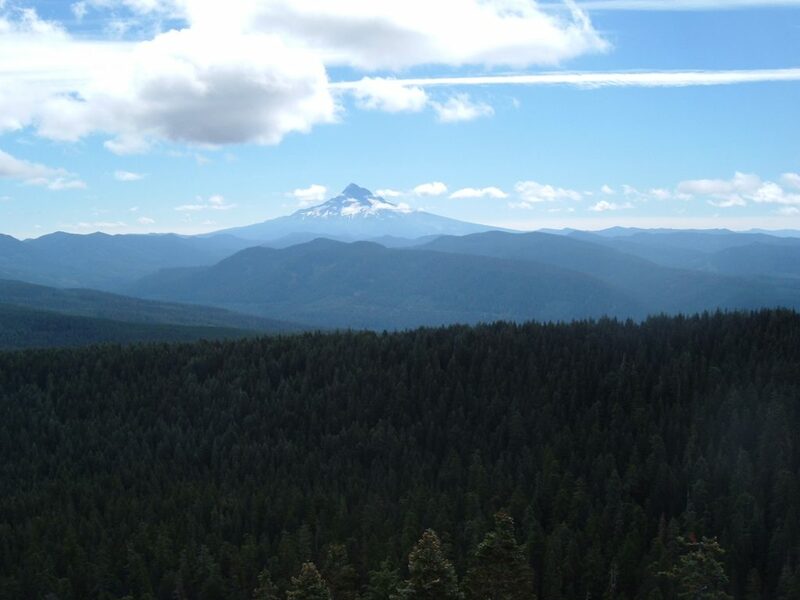 This entry was posted in Hiking, Oregon and tagged hike366 on August 12, 2007 by Jess B.